In 2012, Latitude was presented with an opportunity. An opportunity to go from a reputable UK-based agency – to an international brand operating in one of the most exciting parts of the world. Google had seen the MENA region’s digital sector had enormous potential for growth. And they came to Latitude, believing we could harness that potential into something amazing. Latitude’s international expansion began with a last-minute, overnight flight to Dubai. Upon Google’s suggestion, we decided to take a first-hand look at the city, and the country as a whole, to see if it was worth investing in. On that flight was Kinloch Magowan, who would go on to be, and remains to this day, Latitude’s MENA Account Director. Hopping off the plane, and heading straight to a Google event being held opposite the Burj Khalifa, Kinloch remembers being “awestruck” by the city. But there was little time to be a tourist. By the end of that day, he had already met Latitude’s first prospective MENA clients, and made some solid local connections. The potential for growth in Dubai – and the rest of the MENA region – was clear. And it was all happening at an incredible speed. Our first client was signed – Citibank – with many more set to come on board in the coming weeks and months. Before the end of the year, Latitude decided to take the plunge, and opened an office in Dubai. And Kinloch was tasked with running the show. A lot has changed in the past five years. To begin, we didn’t even have an office. Just two staff members, hot-desking at a generous local creative agency, whilst we got on our feet. Now we have a MENA team of 10, working out of their own Dubai office space. But this wouldn’t have happened if the decision to move out to Dubai hadn’t been a massive success. Each year, the team has achieved triple digit growth. A remarkable feat that is an incredible reflection on the work done by our MENA team. Not just hard work, but innovative work. 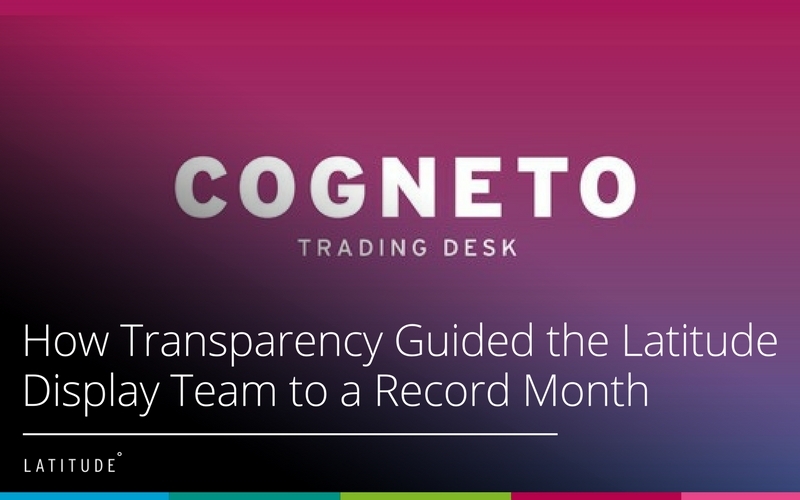 Alongside the teams in our European offices, Kinloch and his team have run campaigns that have cemented Latitude as an industry leader in the region. Those efforts were rewarded in May of this year, when Latitude was named Best Large Integrated Agency at the MENA Search Awards. The timing couldn’t have been more perfect – with Kinloch himself celebrating 10 years at Latitude. But despite this success, we don’t have any plans to slow down. Kinloch has big plans for the future, which sees Latitude continuing to grow, continuing to diversify, and remaining the number one digital marketing agency in the region. “The Middle East is a tremendously exciting region digitally,” he said. “The digital economy here is developing fast, driven by consumer demand and supporting government and private initiatives. “Latitude will continue to enable this growth with our client campaigns. I’d expect to see our team grow, the sectors we work in to diversify, and the channel offerings we provide to broaden.